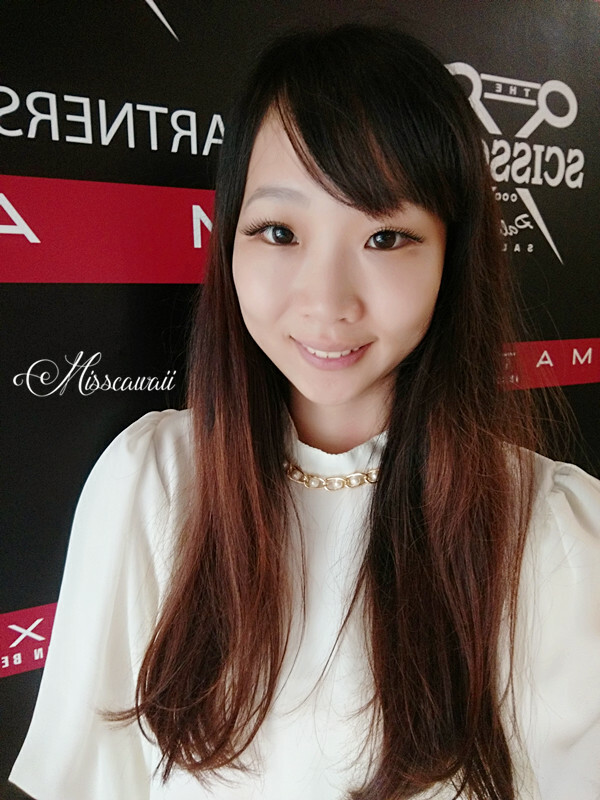 I am a contact lens user and wearing Acuvue brand for clear series since 7 years ago. However, I never notice they are having beauty lens since few years ago. 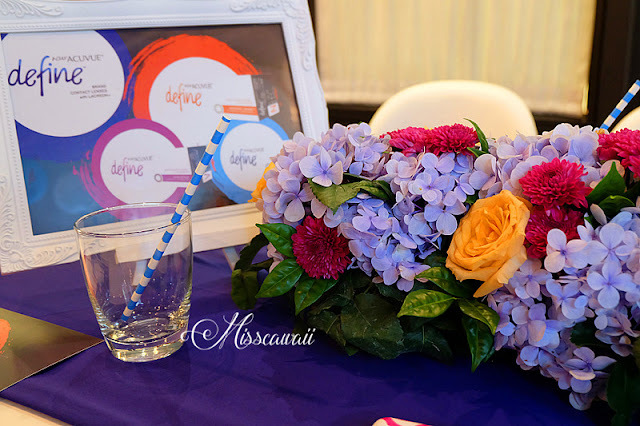 Thank you for the workshop given by Acuvue and opportunity knowing their latest technology in their contact lens. 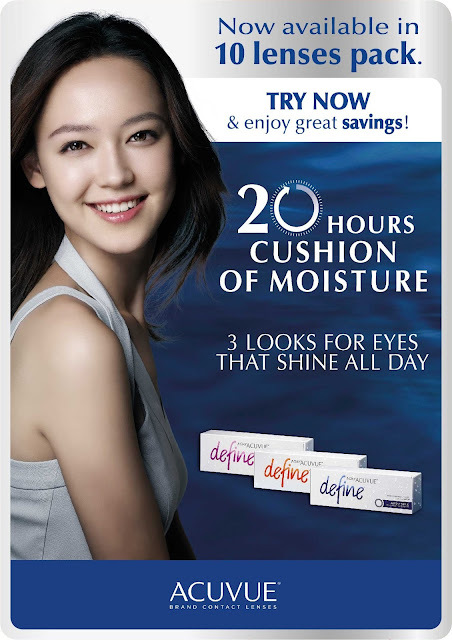 Introducing a patented wetting technology, LACREON®, 1·DAY ACUVUE® DEFINE™ with LACREON® promises wearers a unique benefit which provides a 20-hour cushion of moisture to hydrate your eyes for all-day comfort. It sound nice isn't it? Just like how your skin needs protection from the sun, so do your eyes. ACUVUE® is the only brand that offers an international standard of UV protection. This is good for me especially working long hours in front of computer. Almost half day I been work with my laptop and this is actually very "hurt" to my eyes. Beautiful set up for Acuvue Define Blogger event. Let's have a talk among bloggers before start the event. 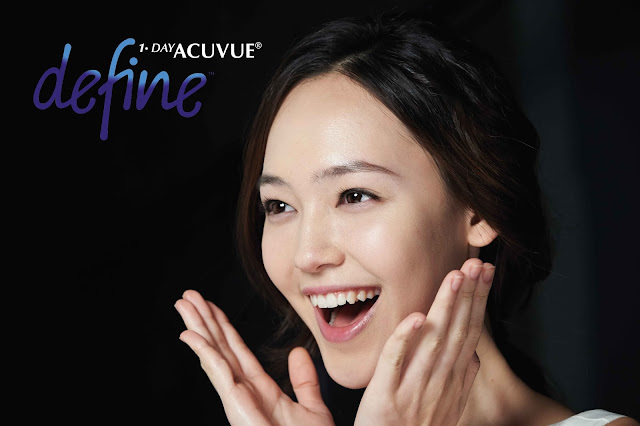 “At ACUVUE® we want every woman to believe in the essence of her natural beauty. 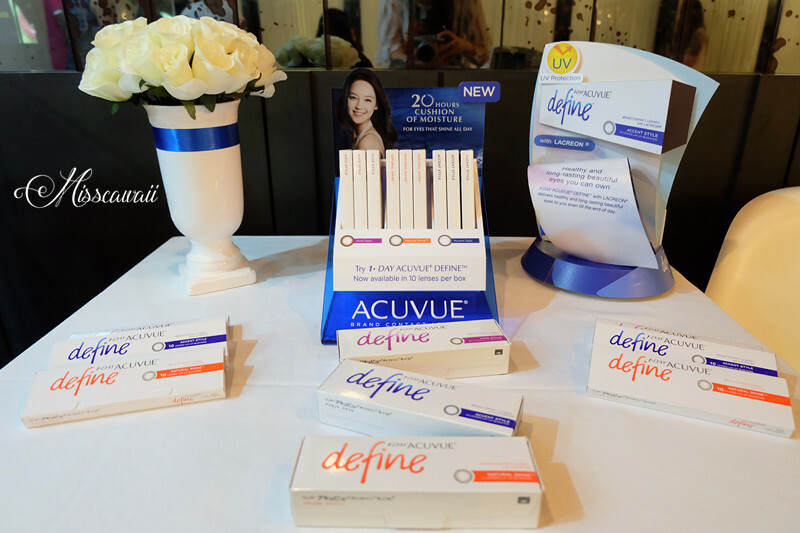 To help celebrate that, we have developed 1·DAY ACUVUE® DEFINE™ with LACREON® that has the power to truly accentuate eyes that are naturally beautiful”, says Lawrence Kwan, Director, Johnson & Johnson Vision Care. 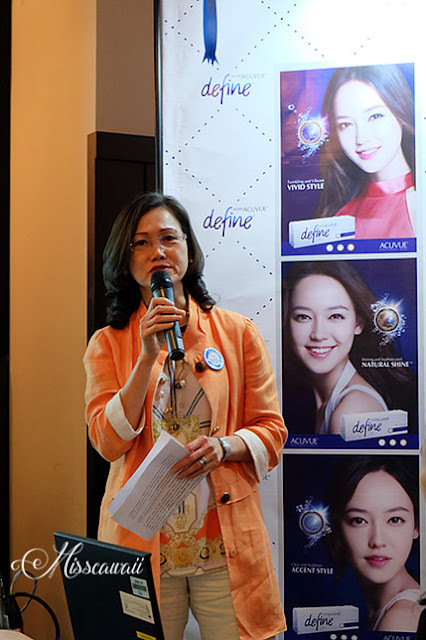 Thank you Carmen Lee, Group Customer Marketing Manager of Johnson & Johnson giving speech and explanation of 1·DAY ACUVUE® DEFINE™ with LACREON® to us. 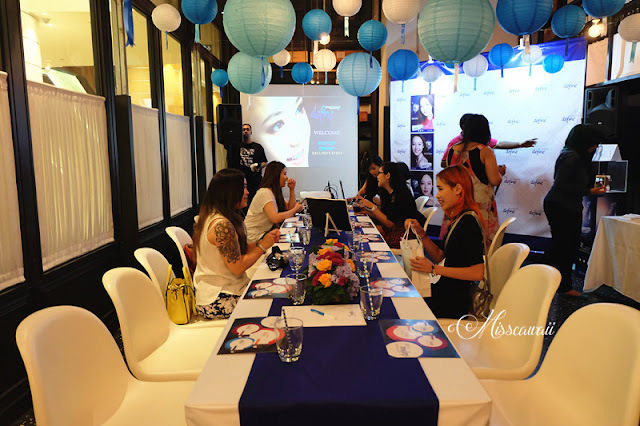 In conjunction discovering the 1·DAY ACUVUE® DEFINE™ with LACREON® at the event, we are having opportunity to doing the professional eye checks conduct by Better Vision. Datin Angie, General Manager of Better Vision giving the speech and introduction of Better Vision. 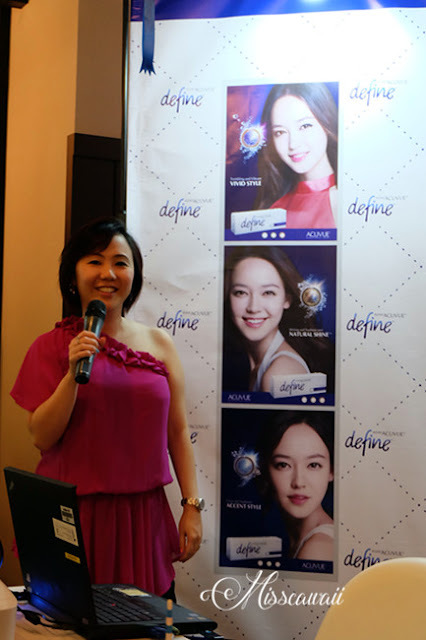 1·DAY ACUVUE® DEFINE™ with LACREON® is featuring local brand advocate Jojo Goh and tell us her experience wearing it. **LACREON® technology embeds a moisture-rich wetting agent directly into the hi-tech fabric of the lens. Etafilcon A, to create a moisture cushion that lasts up to 20 hours for end-of-the-day comfort. **Beauty-Wrapped-In-Comfort™ (BWIC™) Technology to improved eye health and safety, where colourants are set between two thin, transparent layers of lens material so that no pigments come into contact with the eye. **The only beauty lens in Malaysia to be certified with internationally recognized standards of UV protection. **The only brand with a comprehensive portfolio of internationally recognized, market-leading, ground-breaking & award-winning products. 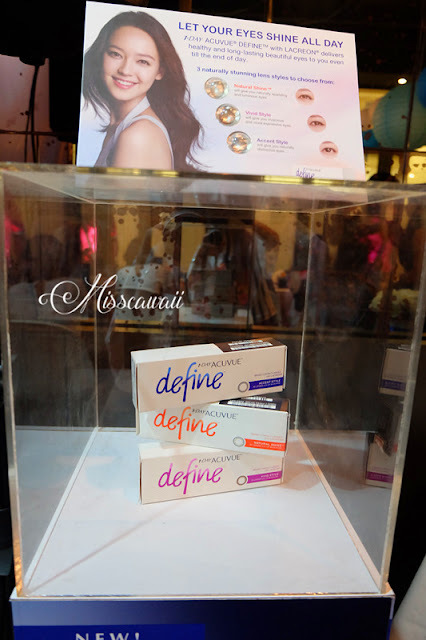 **The FIRST best-selling soft contact lens brand across the globe. New-and-improved 1•DAY ACUVUE® DEFINE™ with LACREON® is a daily disposable contact lens range, available in three colours: Natural Shine™, Accent Style and Vivid Style. The 10 lens pack is available from October onward at an introductory offer of RM50/box. Thank you ACUVUE® and I am wearing Vivid Style to attend another event on next day. Honestly I love Vivid Style and makes my eye shine with natural. My eyes are moist and comfortable all the time especially I work in front of my laptop for long hours. The lens is provides international standard of UV protection that make me assure the contact lens I wearing is safe. I love the 10-lens pack where I can carry easily in my bag wherever I go. This is daily disposable beauty lenses that bring me more convenient especially when travelling and I just came back from travel. I no need bring any contact lens case and solution that can save my space. Better Vision is having special promotion on ACUVUE® brand contact lens on cash rebate up to RM204 with free 1 set of Neutrogena Skin Care products and RM20 cash voucher for next purchase. Sorry to telling the promotion is ended last month. But you still can visit their store to getting know if they are doing next promotion. By the way, they are provide professional eye examination which name as BVAX 12 Steps to ensure the accuracy of results. You may take the eye examination with appropriate advice before purchase the contact lens. For more information, please visit their store at The Gardens. 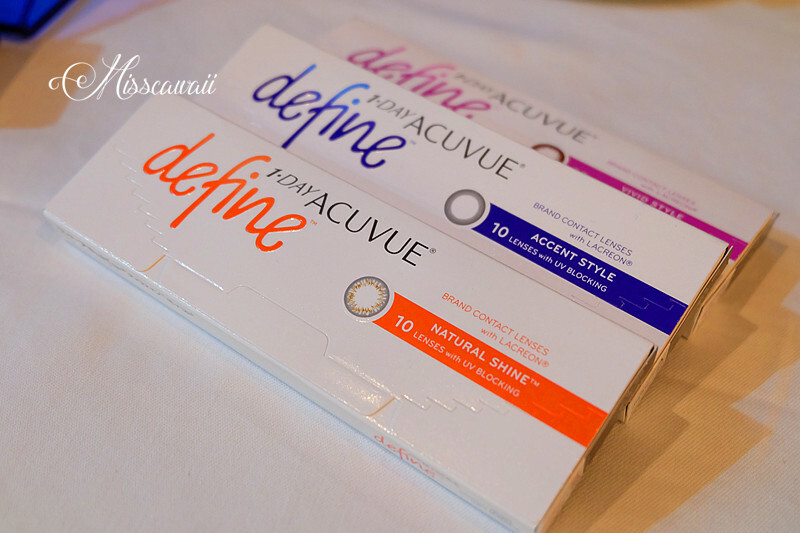 i have always been using acuvue :) very 'breathable' for the eyes! Great hi-tea session! 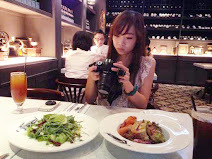 So enjoyable... Can try out 1day acuvue.. Sounds nice! seems so nice & natural, will keep an eye on their next promotion. thats a nice hi tea. I am a loyal user of this brand forever and ever. This is new to me. i like the vivid style. does they have monthly for this new product? i'm many year of acuvue daily contact lens user . wish to try tis color lense too! Glad to know you are finding this better than your old range. I don't wear contacts and somehow don't understand how wearers don't feel geli. I think the most important message to put across is always let the eyes breath and don't wear contact lenses for long, I don't wear them but i know of friends that does and sometimes, they keep the contact on for days. It's crazy! I really need this contact lenses since it will keep my eyes moisturise for long hours. No more feel dry. 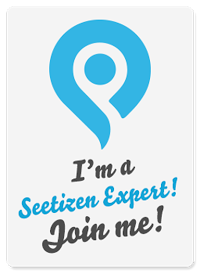 I'm a user. Love it. Espwcially during travel. I wanna try it too! Thanks for your recommendation. never tried contacts before. This may just be my first one!